You are here: Home / Social media / What is an Instagram shadowban? If you aren’t familiar with the term then let me enlighten you. Shadowbanning is when your hashtags or mentions become undiscoverable to non-followers, but will only be visible to your current followers and majority of the times the user is not even aware of it. Still haven’t got it? Read on. Shadow banning on Instagram is basically when your posts stop showing up under hashtags, as I said earlier. Your posts will be visible to your followers but non-followers will not be able to see it, thus limiting the outreach of your posts and visibly lowering engagement. 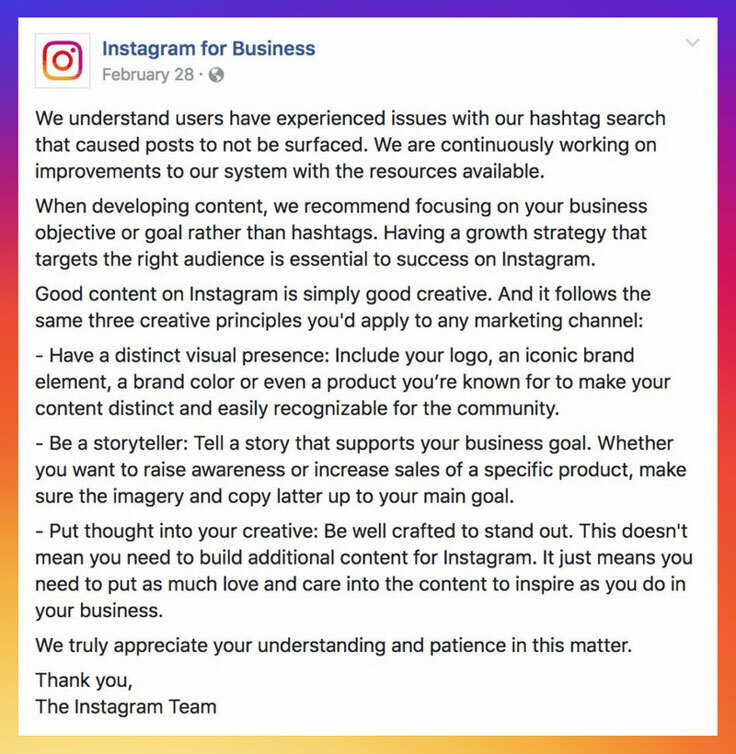 Instagram does not permit the use of some hashtags, there are over 14,000 hashtags banned on Instagram, which are pretty common words and many people may not be aware of that. To know whether the hashtag is banned or not, just search for it on Instagram. If you see no results, then yes it is a banned hashtag. I get it, everyone wants a ton of followers but at the end of the day. It’s not worth it, congrats you got lots of followers, but this comes with a price. Yes, I mean the shadowban, you’re blowing your chances with actual people actually liking your posts. Also, I guess I should add that Instagram deletes bot accounts quite frequently, so there’s that. Violating Instagram’s community guideines will most likely get your account shadow banned. Using certain softwares or hacks not allowed by Instagram, buying followers, unfollowing and following people multiple times, posting content that is strictly not allowed, hashtag hacks. If you’re doing any of the things mentioned above, well, there you have it. That’s why you’ve been shadow banned, according to what has been known so far. If your account is continuously being reported for whatever reasons. Those reasons maybe that people find your account’s content offensive, or perhaps you’ve stolen somebody else’s content and claimed it as your own. There could be an abundant amount of possibilities as to why your account has been reported. If you’re account is reported more than once by several people Instagram will shadowban you. To see, whether you’re banned or not, you can use the ShadowBanTester, this ought to help you confirm your suspicions. If you think you’ve been shadowbanned and haven’t violated any of Instagram’s guidelines, you can always use “Report a Problem” or the “Help Center” options to let Instagram know of your problem and ask them to fix it. Hope you found this article! This is very useful article. Thank you for this. Informative and easy to comprehend!